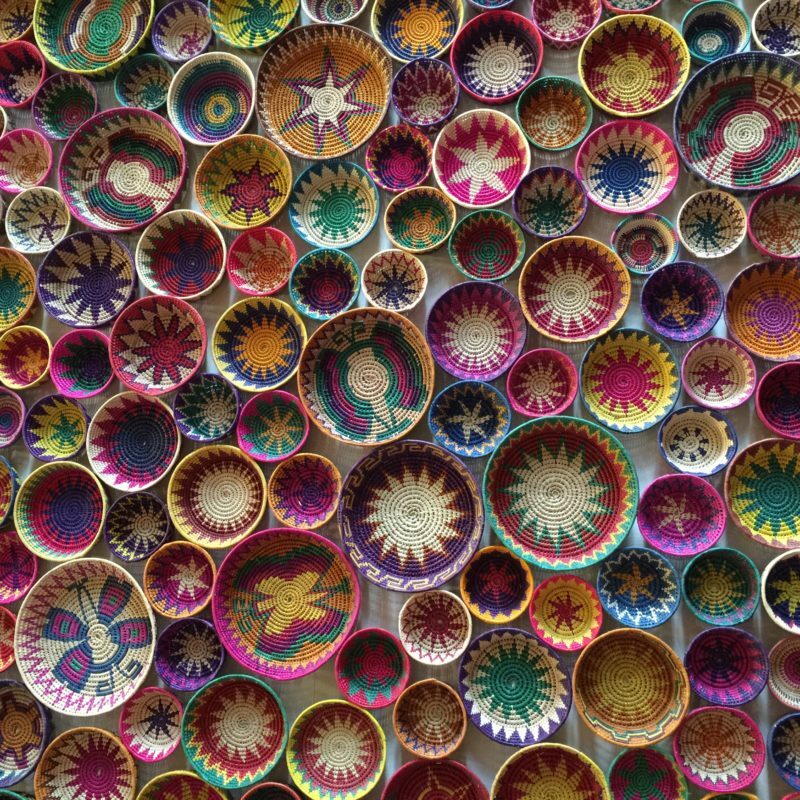 There’s no better place to ignite a fiery love affair with your Artist Soul than Oaxaca, Mexico. 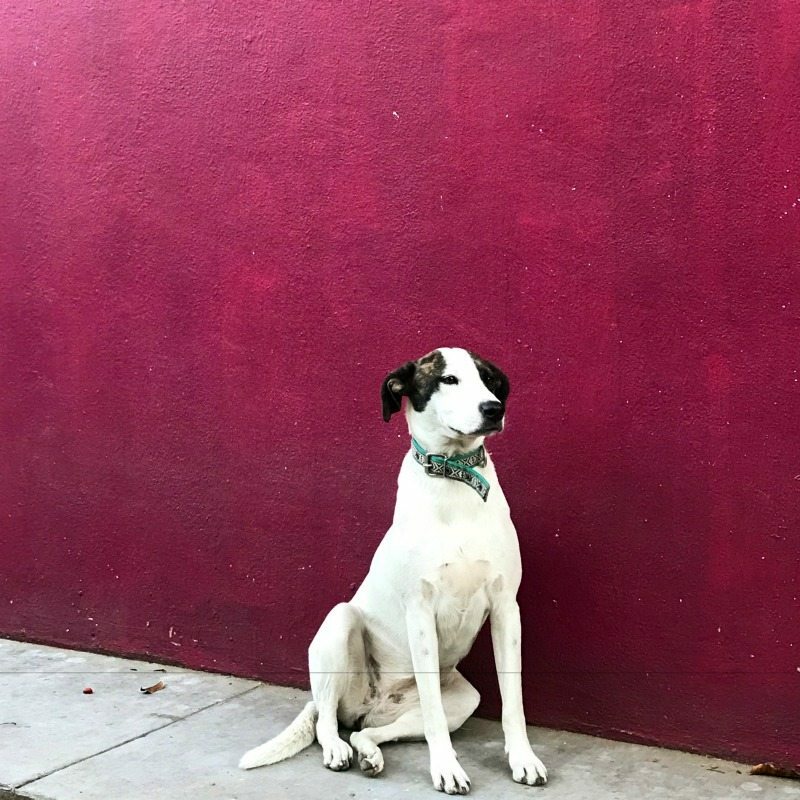 Oaxaca will seduce your senses with her cobblestone roads, brightly colored architecture, delicious foods, warm friendly people, and most of all her art. 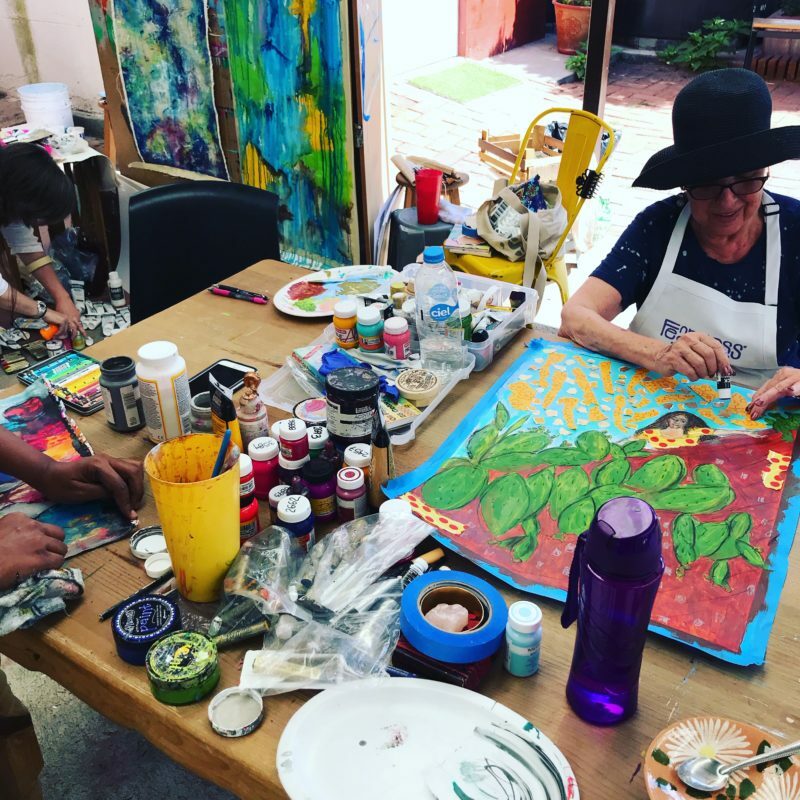 From powerful murals, to the traditional crafts you can cradle in your hand, to a rich, robust contemporary art scene — painting is the pulse of Oaxaca — and it will breathe life into your creativity. 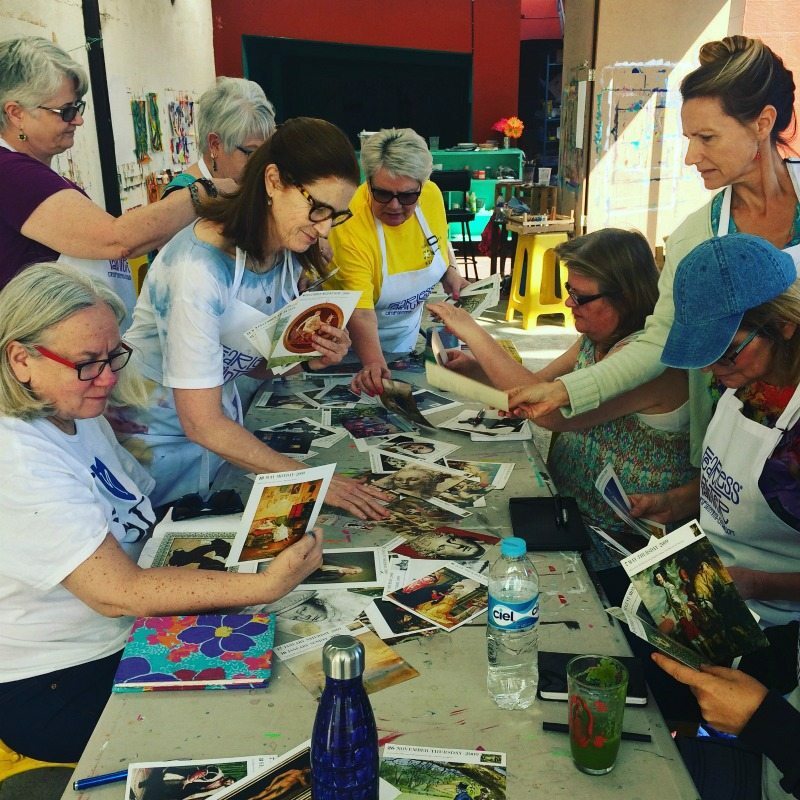 Paint FEARLESS Mexico is a week long retreat guided by me — Connie Solera, for women artists that want to paint FEARLESS®, nourish their Artist Soul, and yearn for a community of kindreds to head out on an adventure with! 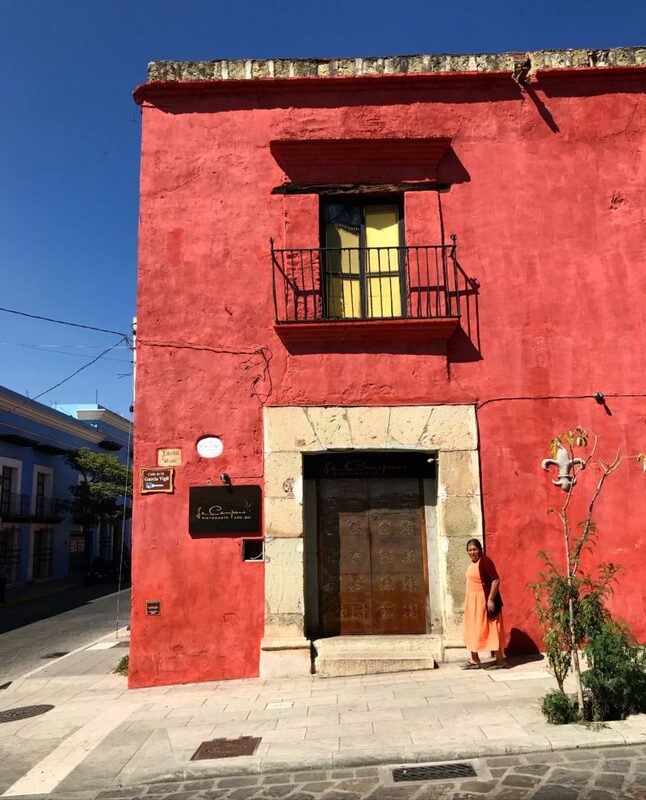 I adore Oaxaca so much and since 2017 I have hosted a total of 8 sold-out Paint FEARLESS Mexico retreats. 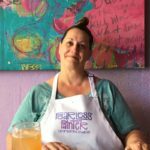 This November 2019 will be my last and final Paint FEARLESS Mexico retreats!!!! 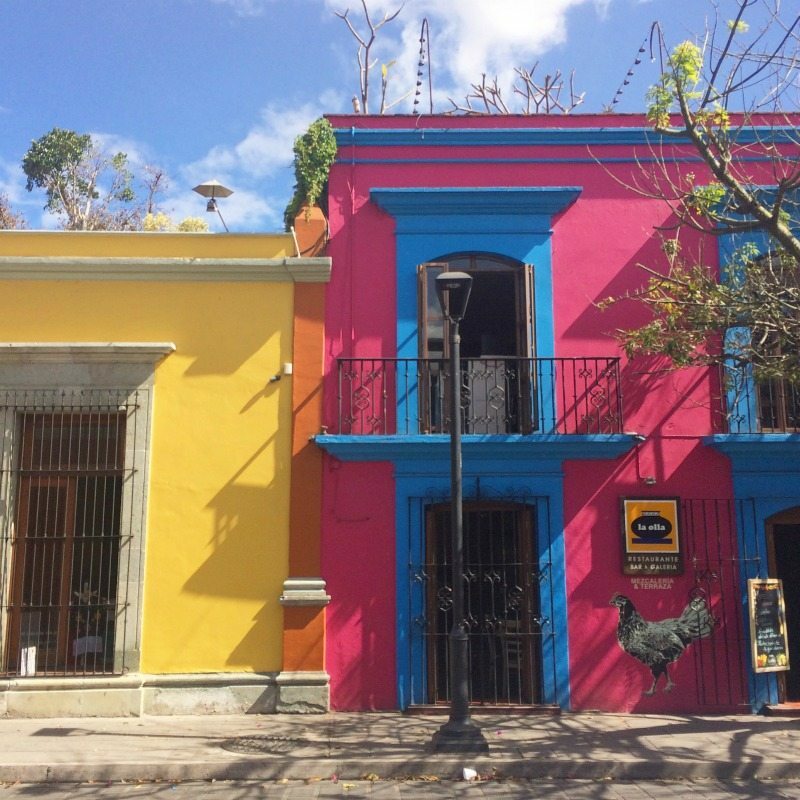 Oaxaca is pronounced Wa-Ha-Ka, and is both a city and a state (like New York, NY) in Southern Mexico. 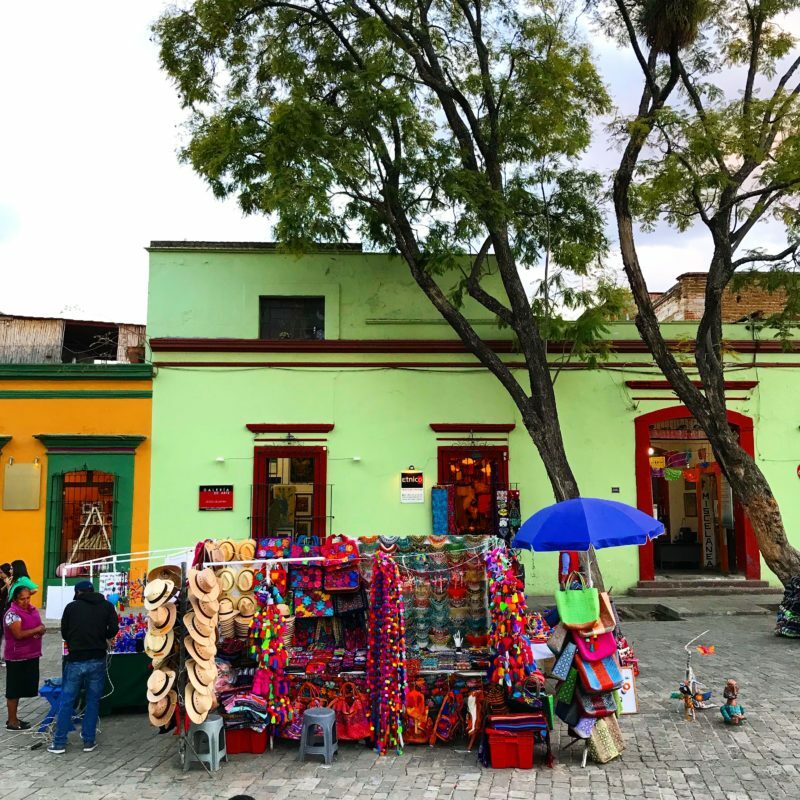 Oaxaca is a Unesco world heritage site, with no less than 21 cathedrals within the historic center, towering limestone walls, and secret gardens behind every adobe walls and doorway. 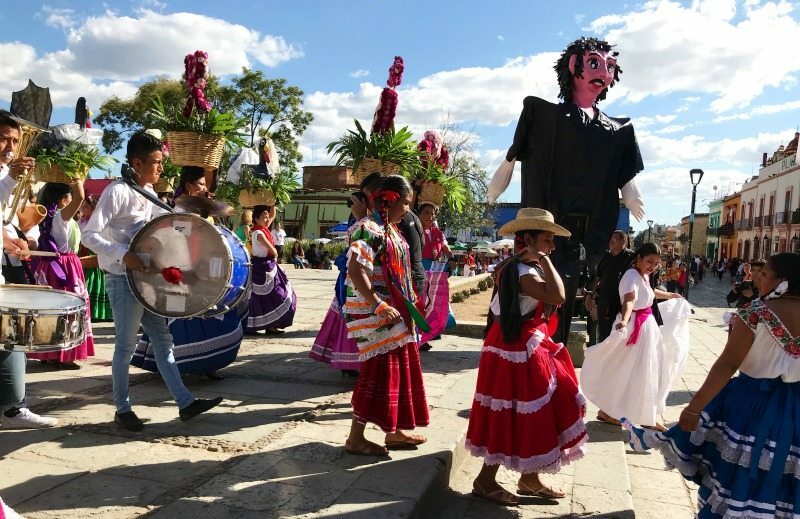 Oaxaca is known as “the land of the seven moles“. 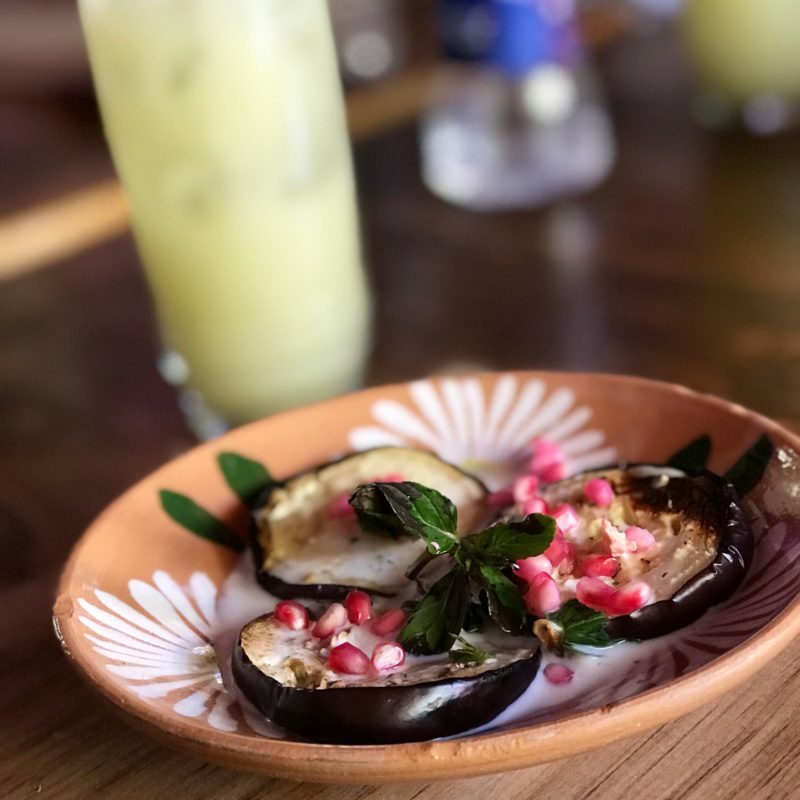 My favorite mole of them all happens to be “guacomole” — Oaxaca has the best! I’ll invite you to embrace the world as an Artist — we’ll hunt for visual symbols, unveil revealing metaphors, and open ourselves to serendipity, creativity, and the sweetness of the unknown. 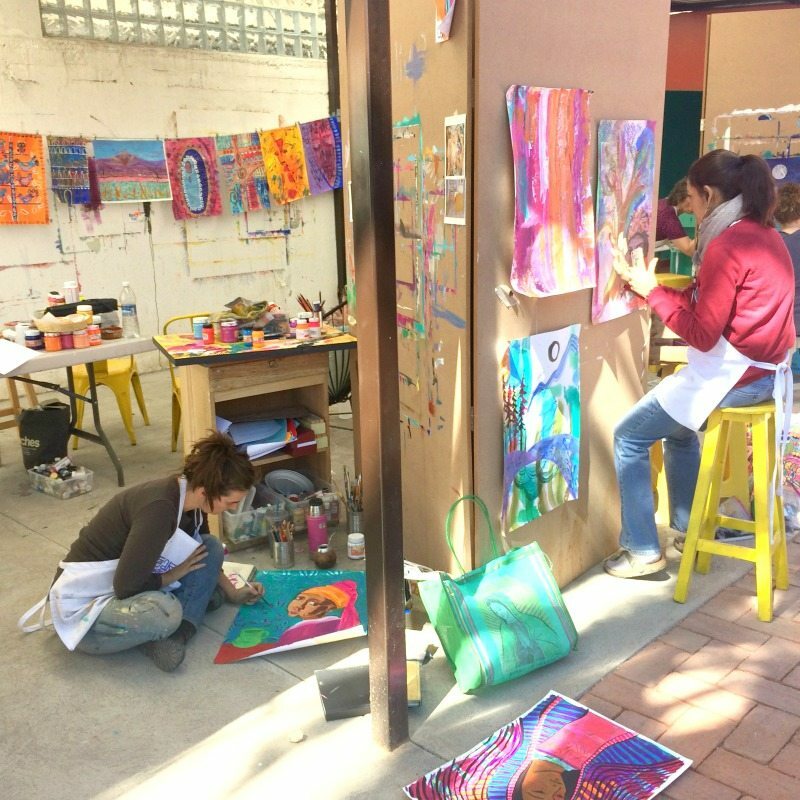 I’ll share with you my favorite ways of collecting the richness of Oaxaca in your sketchbook and studio log and then show you how to incorporate it into your painting practice. 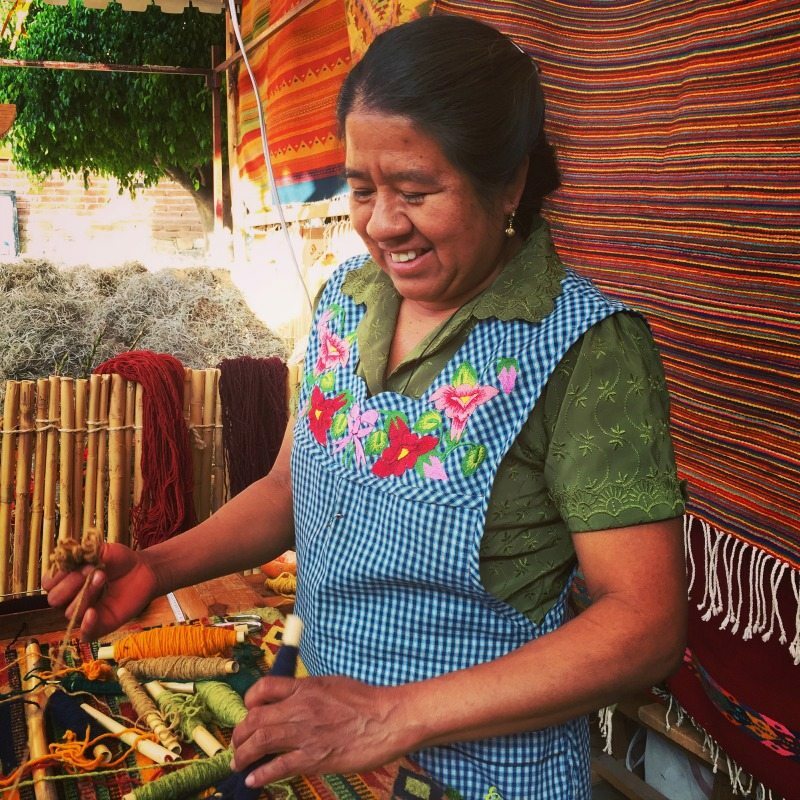 I’ll encourage you to fully FEEL Oaxaca — to allow it to take over your senses and guide your body of work. 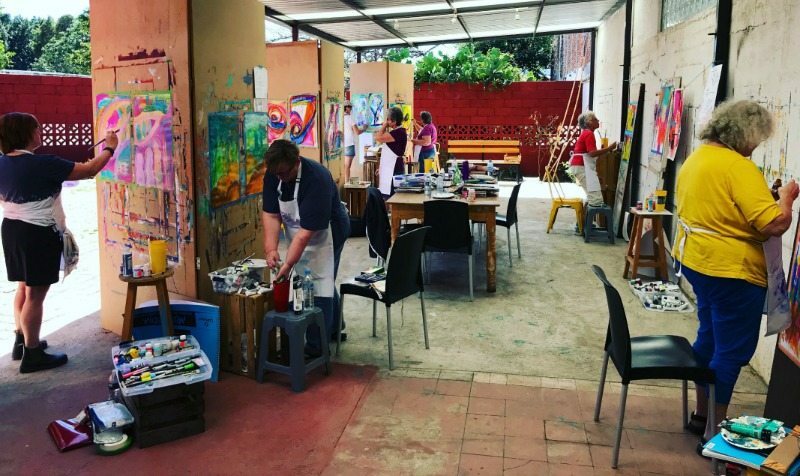 I’ll lead you to some of the most inspiring murals, studios, galleries and museums where we’ll overindulge in painting! painting! painting! Day One: We’ll begin our adventure with tapas and orientation starting at 5pm. Day Two: Breakfast. Morning workshop & FEARLESS® Painting. Lunch. Break. 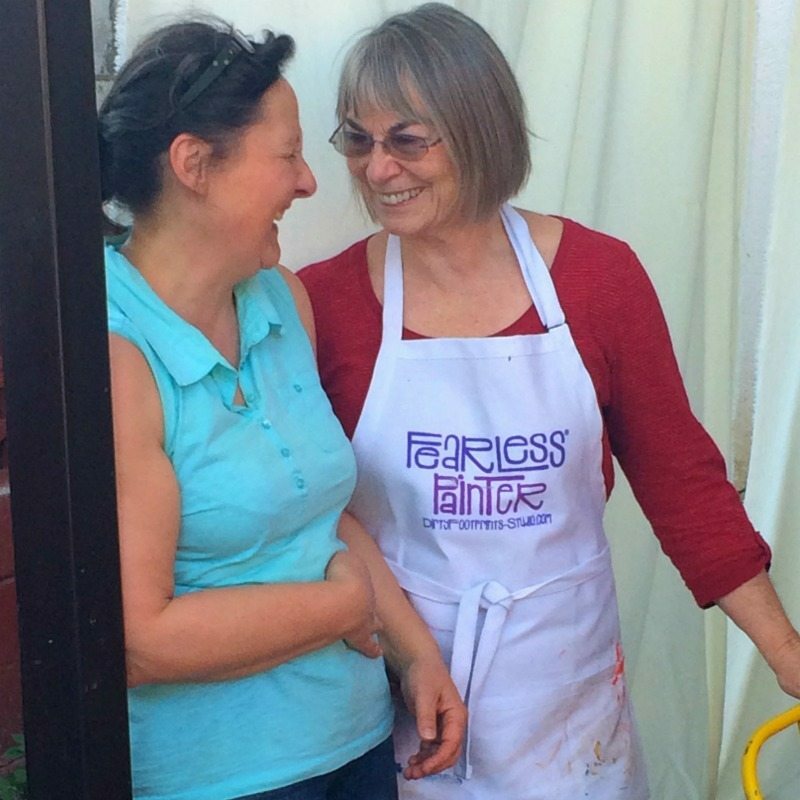 Afternoon workshop & FEARLESS® Painting. Day Three: Breakfast. Mini workshop on how to create watercolor sketches while traveling. 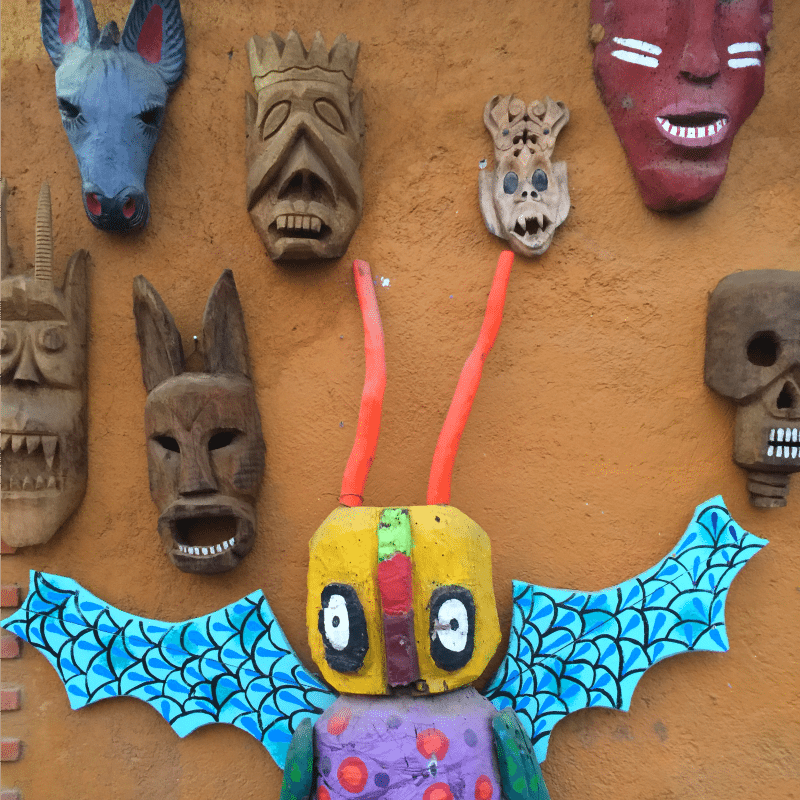 Walking tour of Oaxaca including stops at my favorite galleries, sites, and the art store. Lunch. Time to wander and explore on your own. Day Four: Breakfast. Morning workshop & FEARLESS® Painting. Lunch. Break. Afternoon workshop & FEARLESS® Painting. Day Five: Breakfast. Morning Workshop & FEARLESS® Painting. Lunch. Visit to the Painting Museum. Day Six: Breakfast. Visit the Ex-monastery of Santiago Apostol in the town of Cuilapan de Guerrero for touring and sketching. Lunch. 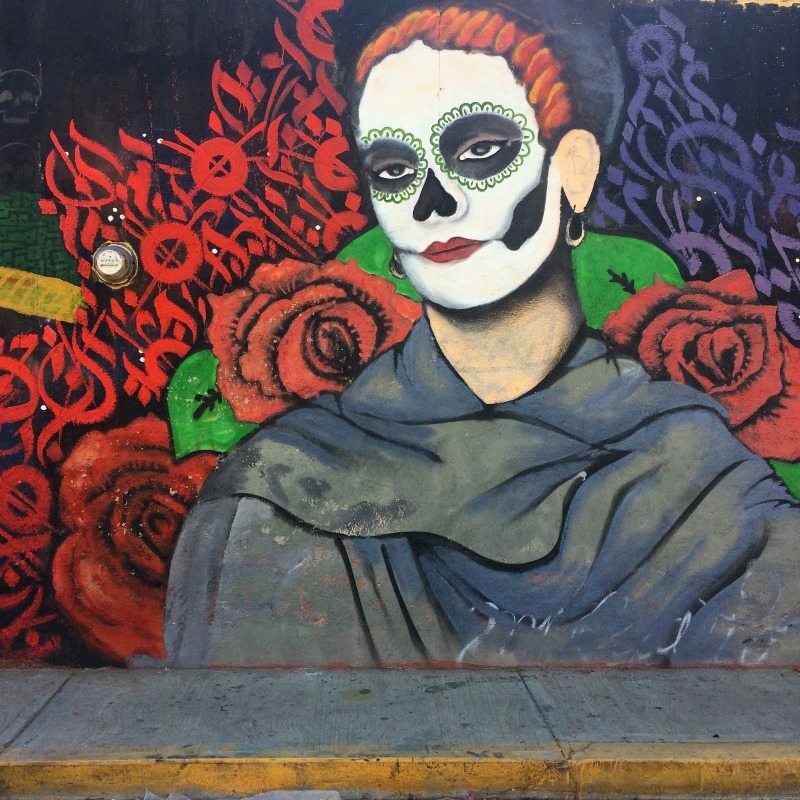 Visit the village of San Martín Tilcajete including visiting traditional paintings studios, viewing nearby murals and cemetery. Day Seven: Breakfast. FEARLESS® Painting. Lunch. Final shows. Closing circle. Farewell dinner at Casa Oaxaca Restaurante. Day Eight: Check out is at 11am. 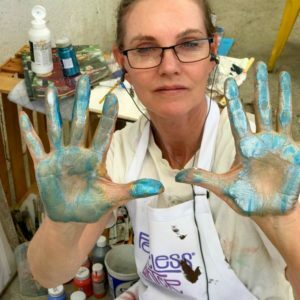 And we’re going to Paint FEARLESS…ALOT! 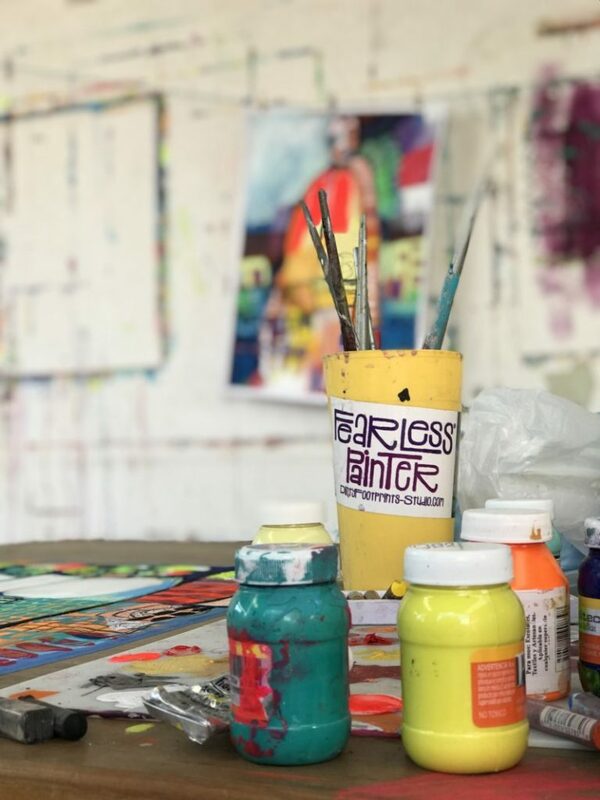 During our time in the studio I will guide you through an intuitive journey of art making while sharing my favorite techniques and insights on being bold and fearless creatively. 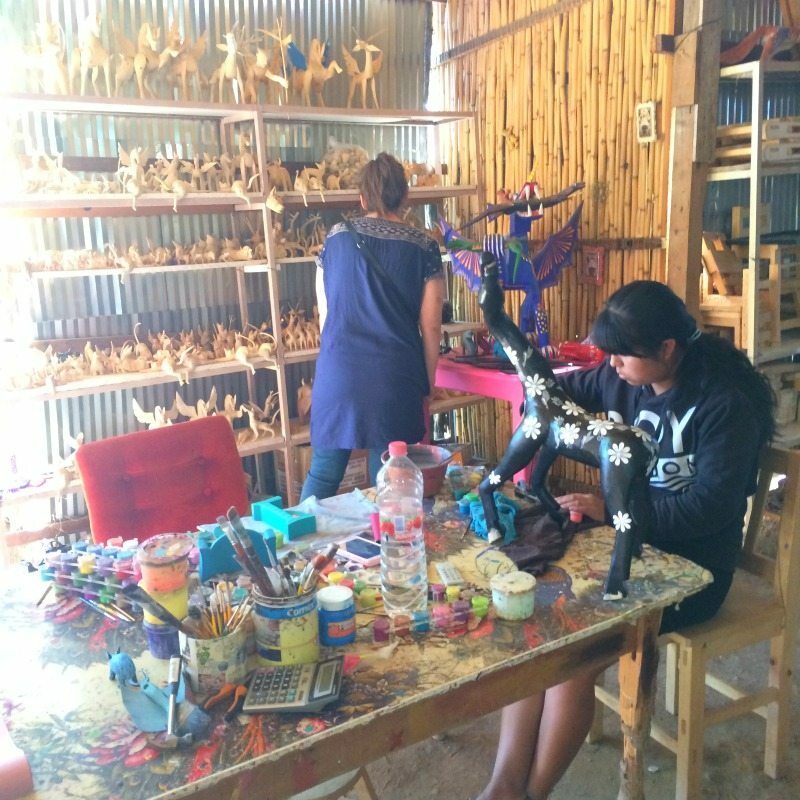 We will dip our brushes into our own personal narratives and welcome the spirit of Oaxaca to take us deeper into our most honest expression. 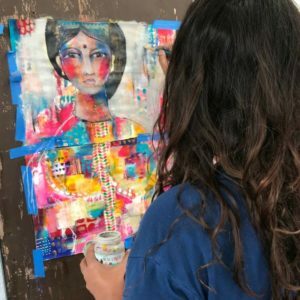 At Paint FEARLESS space is limited to 10 artists so you can expect loads of one-on-one guidance, support, and an intimate peek into my own creative process to inspire and uplift you. As always, all levels of experience are welcome and celebrated. 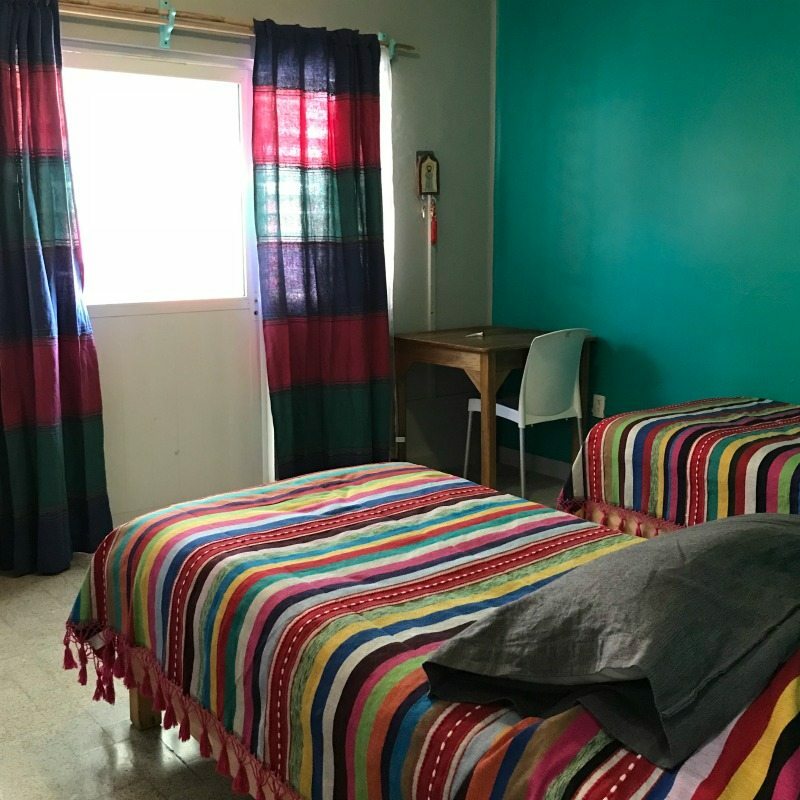 We will be staying and working in the studio at Art House Oaxaca, artist residency created by Lisa Sonora, an American artist living in Oaxaca. 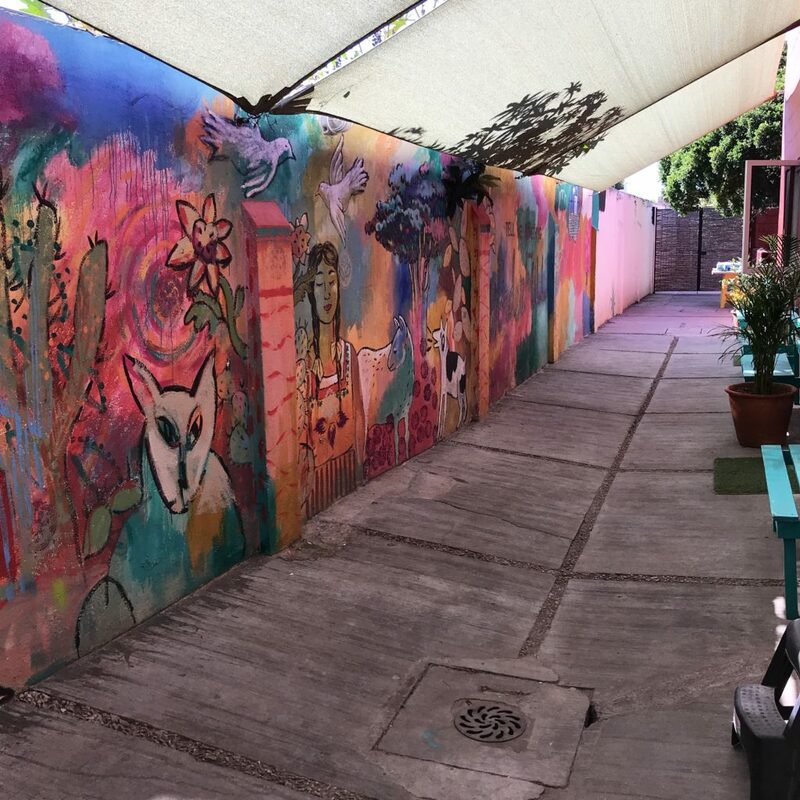 Art House Oaxaca is located right in the Historic Center, walking distance to everything, including fabulous restaurants, galleries, museums and shops. 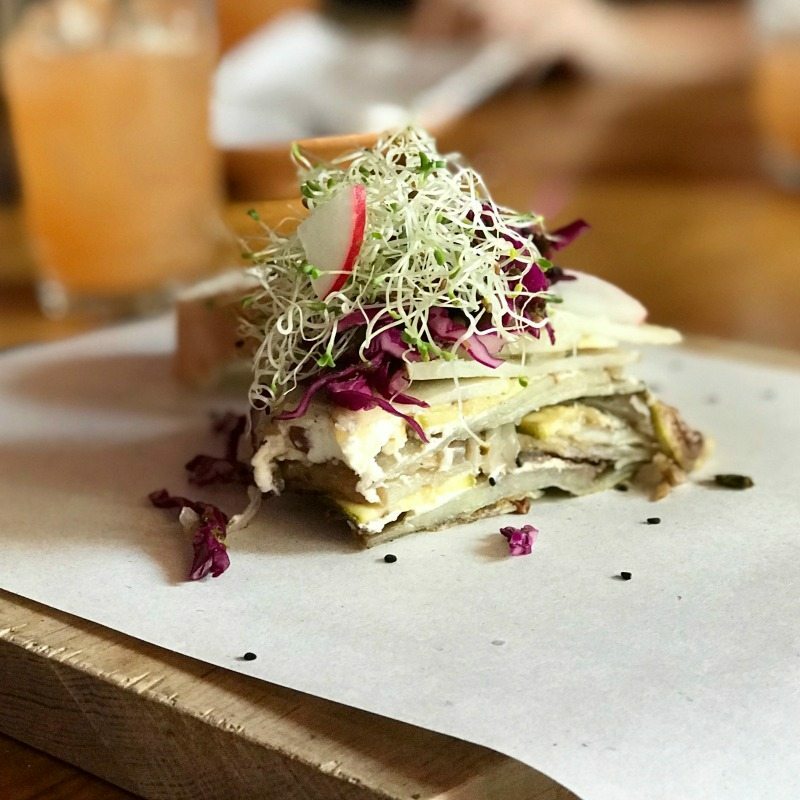 Plus there is a yummy cafe right on site! 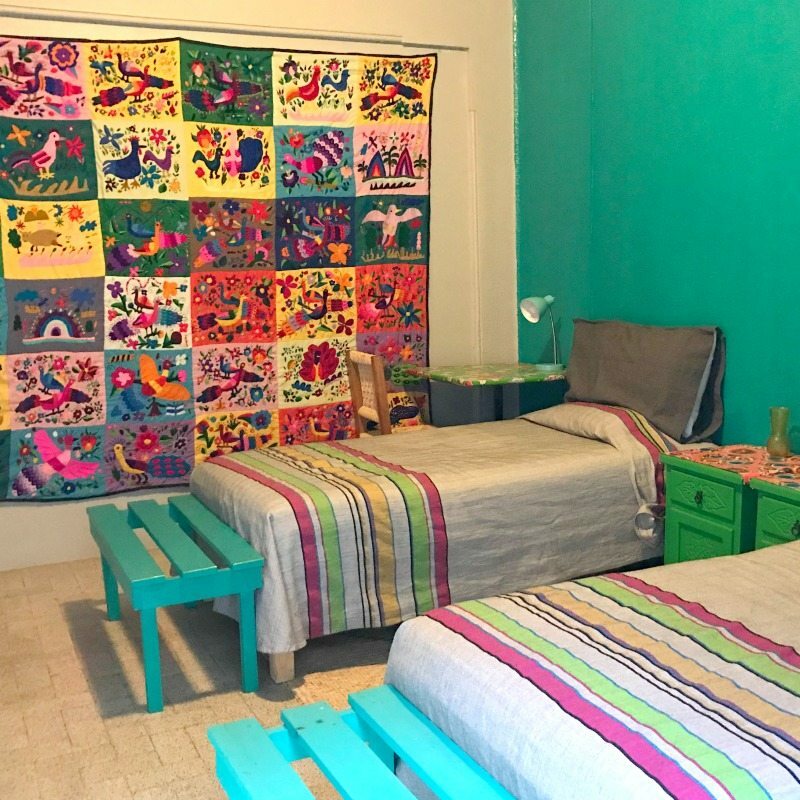 Each room at Art House Oaxaca is double occupancy with two twin beds and a private bathroom. 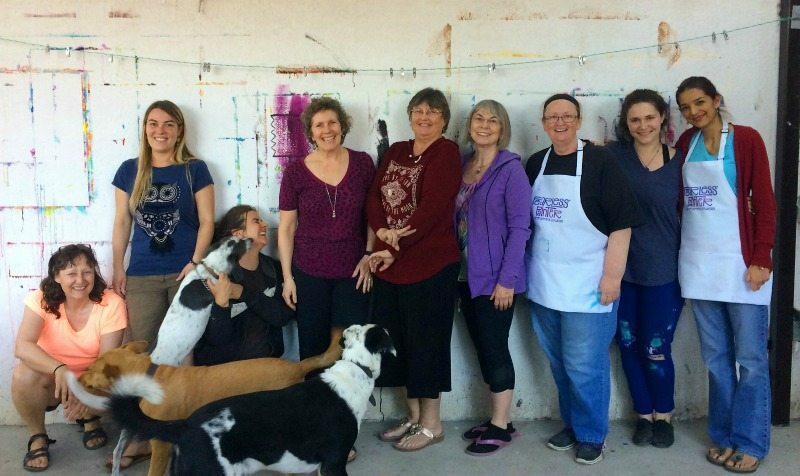 The studio is located right outside your room — you can roll out of bed and paint in your pj’s! 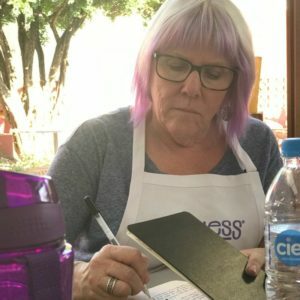 Let’s Paint FEARLESS In Mexico! Claim Your Space Now! 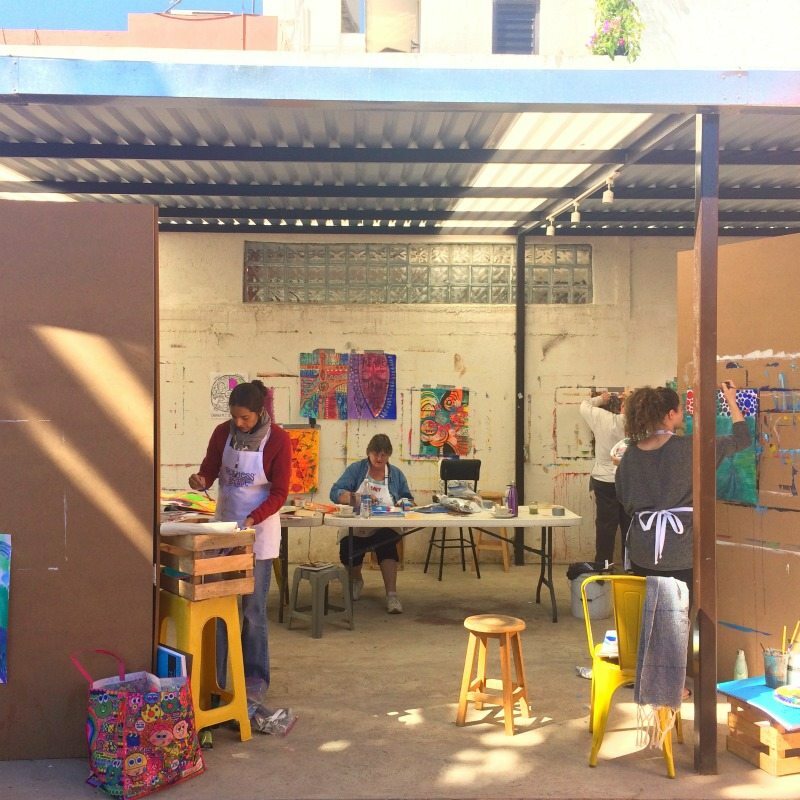 Taking the risk to enroll in Paint FEARLESS Mexico was an act of Fearlessness itself. I have been following Connie for a few years and love both her painting style and her words. I had a long career as an art teacher but had gotten so off track with my own work. I really lost my way as an artist. I had been trained in Illustration and very realistic work, but it just didn’t talk to me anymore. I needed guidance, gentle pushing, a safe space, (because artists are the biggest snowflakes of all) and time to explore. I got all that with Connie. She is a talented and knowledgeable teacher, intelligent, well-rounded, and funny as hell. I didn’t know what to expect except I just wanted to make art again. I set my goal to be open to whatever came up. 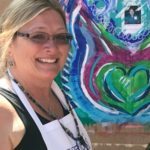 What happened was I started painted images that were ugly, dark, and surprising to me. 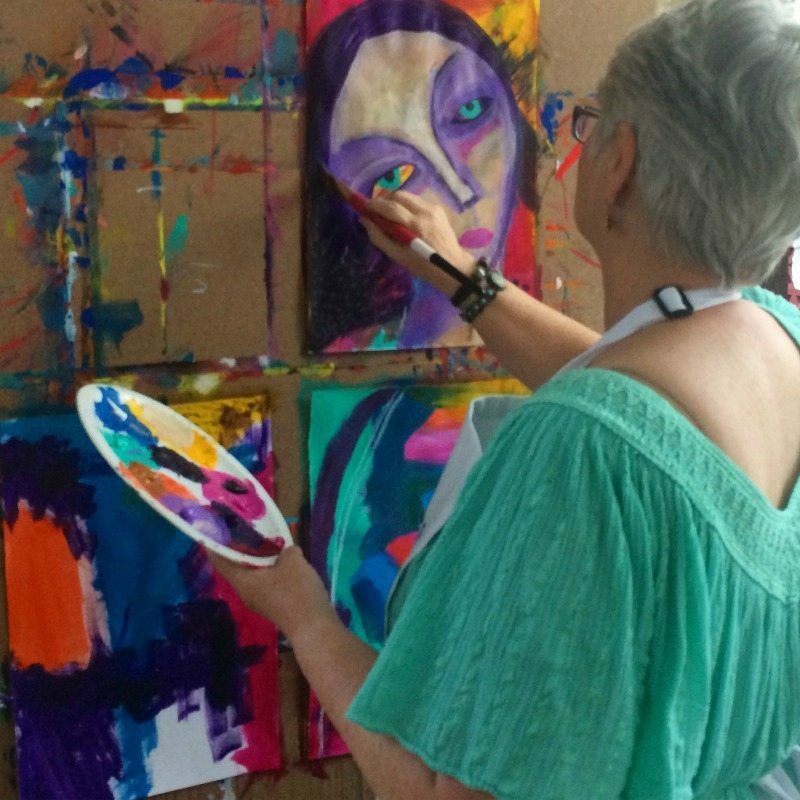 While each of the eight women were painting and dealing with their blocks, fears, and issues, I was Painting Fearlessly Ugly — both freeing and surprising. I realized too that my imagery was deeply tied into the written word. I did have an artistic voice! It was not a familiar voice, but a deeper one. 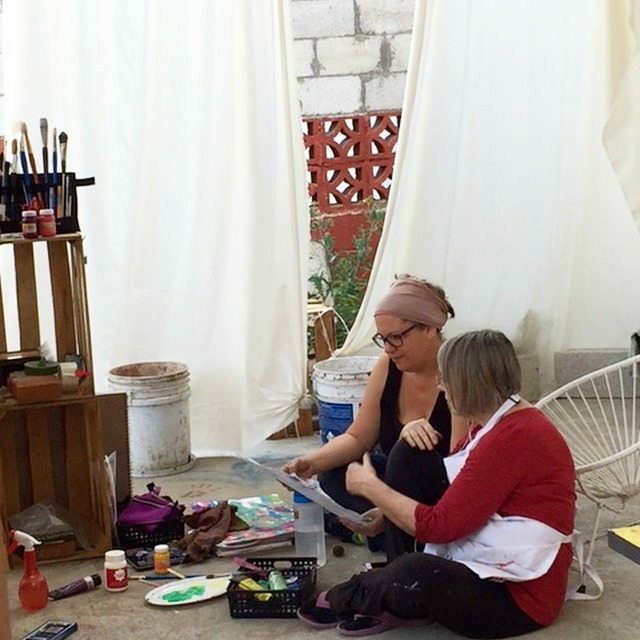 I’ve been processing, thinking and writing about my Paint FEARLESS Mexico experience these past couple of days. I simply can’t get over how fortunate I am to have attended. To have had Connie Solera as a teacher, guide, friend, sister is invaluable. She ushered me into a higher manifestation of myself. Every time I paint now, I hear her voice telling me “trust yourself”, “let go”, “it doesn’t have to be difficult for it to be good”…and so many more of her wisdom nuggets. I’m also so very grateful for these amazing ladies that made up our small group. Each has their own gifts and talents and have taught me something different. Something invaluable in the way I want to move in this world going forward. 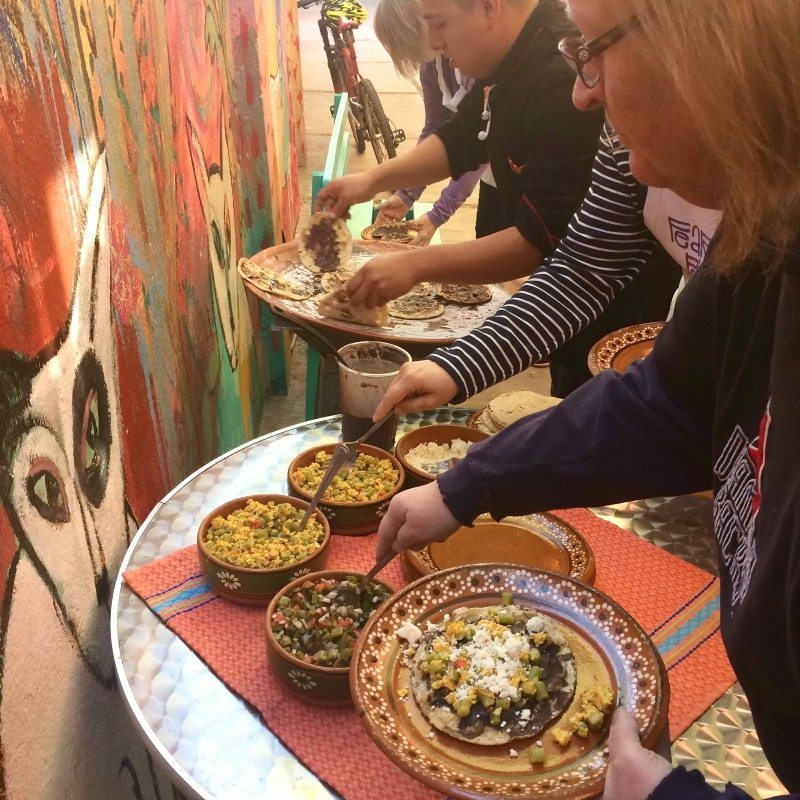 CLICK HERE to see more photos from Paint FEARLESS Mexico!